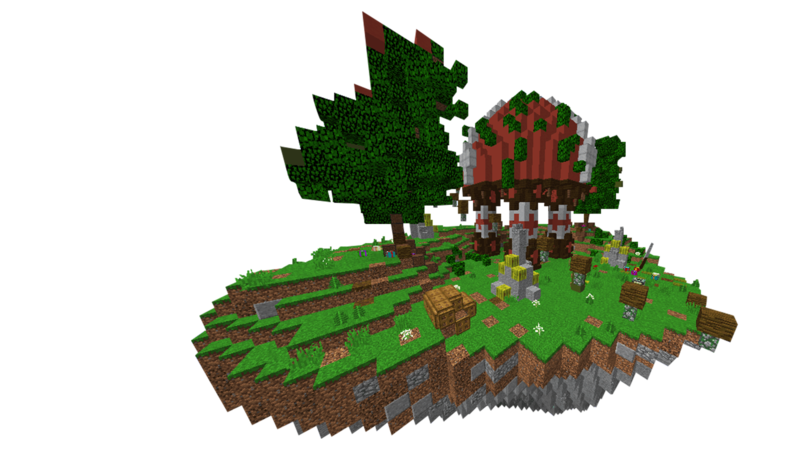 Follow your favorite Minecraft creators as they build a custom Minehut server. When it's all done, jump in and play alongside them. Best part? You can do it all from home!  Block Party is our new content and event series, presented by Logitech G. Every month, we’ll bring in a Minecraft creator to share their server-building skills with you. When they’re done, join them for a special online event. 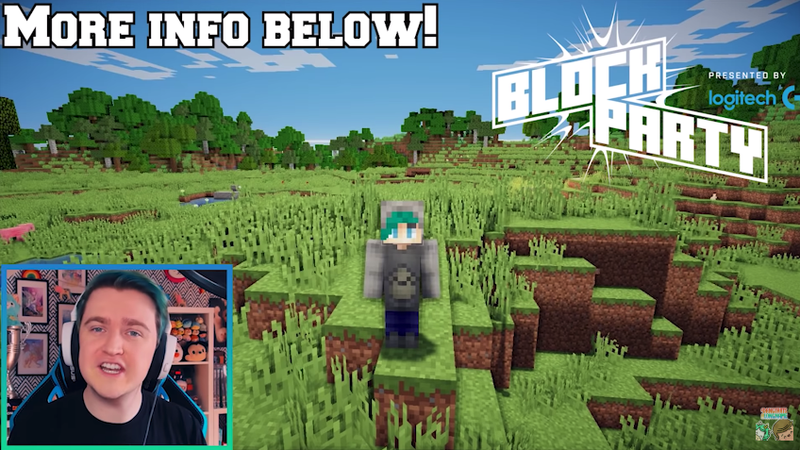 In our first Block Party with Shubble, we jumped into a special castle-themed Minehut server to play a capture-the-flag game mode. 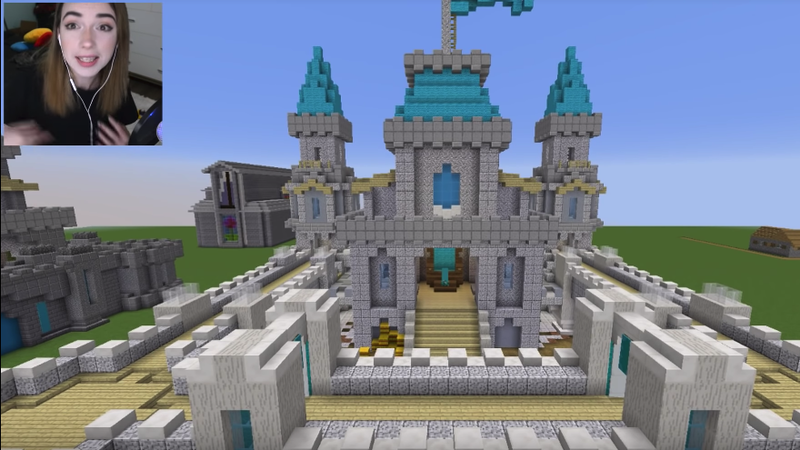 Check out her progress on the creation of the server here! 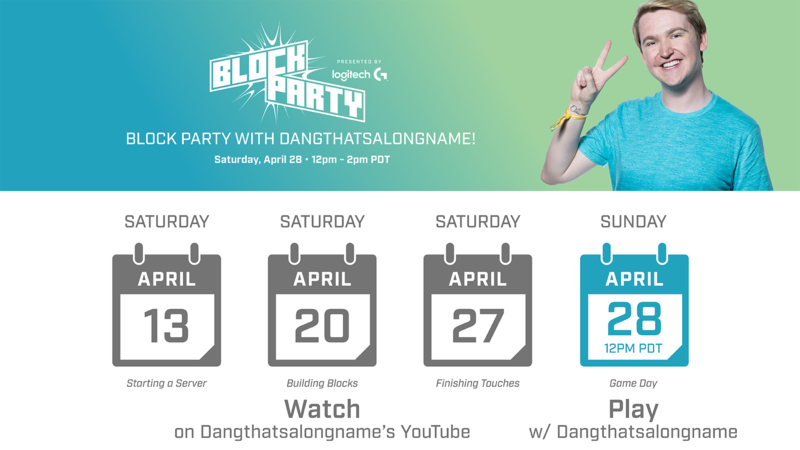 Dangthatsalongname is hosting this month’s Block Party! 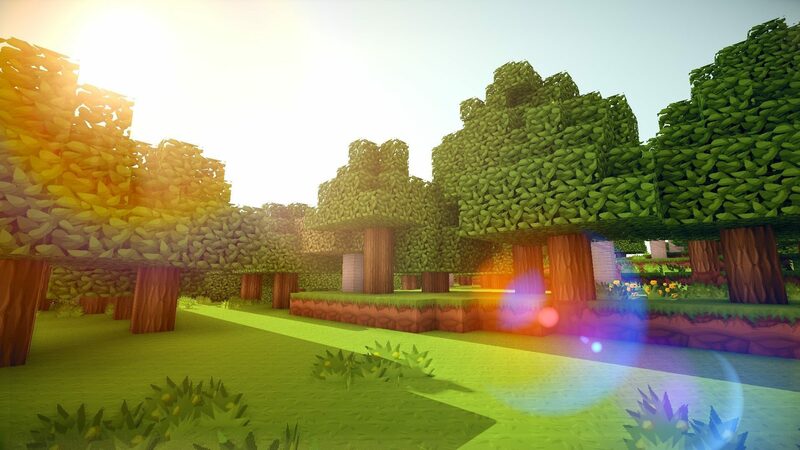 Watch as he creates his Minehut server and keep following along to see what the final product is. The next video will be out on Saturday, April 20th. Never miss a block party.